Capacity constraints and delayed shipments of key components is slowing down production of Apple's LCD-based iPhone XR for Pegatron, a report from the Chinese Economic Daily News spotted by DigiTimes claims. The problems have allegedly prompted Apple to make a change to how many of the devices each company produces, shifting some of the orders to Foxconn to retain the production rate. According to the report, Pegatron had secured between 50 and 60 percent of total orders for the iPhone XR's assembly, while Foxconn apparently received around 30 percent. Now, it is claimed Apple has lowered Pegatron's proportion of orders to below 30 percent, while at the same time increasing Foxconn's orders "substantially." 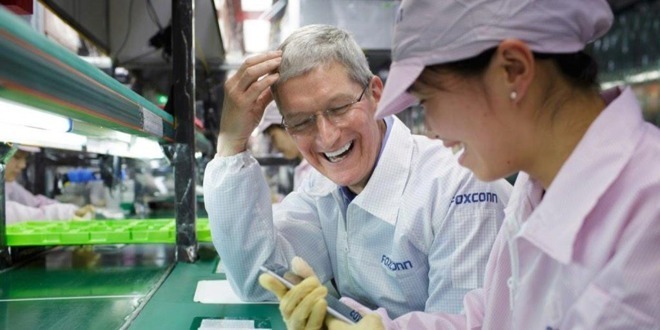 Supply chain reports before the launch anticipated Foxconn would be producing 75 percent of the iPhone XR models, with Pegatron relegated to second-tier status and picking up the remainder. The sudden shift in order proportions is apparently due to a number of factors negatively affecting Pegatron, including a lower-than-expected yield rate and a shortage of workers at its plants in China. In terms of components, the supply of LCD panels from Japan Display has apparently been unsteady, further affecting production. Neither Pegatron nor Foxcon commented to the report about the claims. Earlier reports suggest Apple is planning to increase capacity for the iPhone XR later in the year, with production boosted past the 50 percent ratio by December, and up to 20 million units in October. By comparison, shipments of the XS Max are expected to be around 4 to 5 million per month for some time, and accounting for roughly 20 percent of overall production. Announced in September, the iPhone XR is a cheaper alternative to the iPhone XS and iPhone XS Max, sporting a 6.1-inch LCD display instead of OLED, while retaining many of the features found in its more expensive counterparts. Pre-orders will start on October 19, with models starting from $749 for 64GB of storage.